If you have a business, product or service located in Delray Beach, Florida and are looking to increase your customer base, then you need to implement online strategies. One of the most effective strategies when wanting to increase sales and online visibility is hiring a Delray Beach SEO expert. Search engine optimization, known in short as SEO, can increase your visibility in search engine results, which in turn leads to increased traffic and a greater revenue. If youâ€™re unsure how you can launch something like this for your own company then you have come to the right place, because SerpHaus SEO specializes in helping companies just like yours, located inÂ Delray BeachÂ and throughout South Florida. SerpHaus is composed of a team of experts who have been in the field for many years, having the knowledge and expertise necessary to better serve your Delray Beach business with search engine optimization, website design, and social media. We do more than tell you what you should be doing, we take the extra step and create a strategic plan for your company to achieve that coveted first page ranking. If you already have a company website, we will perform a comprehensive analysis to better figure out what techniques youâ€™re currently implementing, whatâ€™s working well for you, what needs some work, and what efforts must be made in order to achieve the coveted first page ranking. We will also diagnose the health of your website in terms of Google processes to make sure you arenâ€™t risking a penalty. If you donâ€™t have a website, we will work with you to understand your unique vision and create a website that you will be proud of and one that includes all proper on-page optimization. 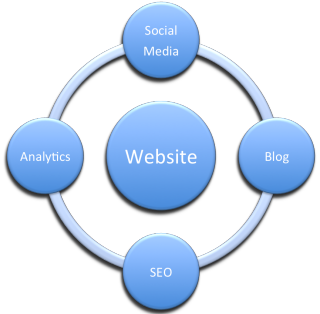 We wonâ€™t stop at building your website or analyzing it. We will discuss your goals with you, both short-term and long-term, and create an all-encompassing plan that will help you to achieve all of your goals for traffic and revenue. We will help you understand the importance of Googleâ€™s many requirements for high-ranking websites, and even help boost your online presence with social media platforms. If your business is already on social media, we will help you to implement social media strategies to direct traffic to your site and build your fan base. You might be wondering why you need SEO, especially if you have survived this long without it. In our ever-changing world, technology has become the leading way to reach your customers, and without a credible online presence your company will get left behind. SEO utilizes keywords or search terms that match a search from a potential customer into a search engine, such as Google, this helps elevate your businessâ€™s website to the top. The closer to the top of Googleâ€™s search engine results you are, the better chance you have to beat out your competition and gain a new customer. We haveÂ proven time and time again to be the experts to turn to when you need guidance for your website and online visibility. Proper execution of these techniques not only results in higher visibility and traffic, but directly correlates to increased revenue. We urge you to chat with us for a free, no strings attached consultation so you can take your business to the top. Donâ€™t delay, go ahead and Get in Touch with Us today at (561) 922-8613.